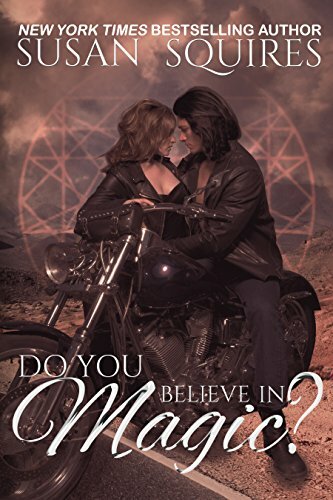 Award-winning NY Times Bestseller Susan Squires begins her new MAGIC series, with Do You Believe In Magic? Tristram Tremaine has never fit in with his large and boisterous family. They believe they carry a magic gene that comes alive only when they fall in love with another who carries that gene. After disappointing his parents one too many times, Tris, the bad-boy brother, hits the road on his cycle, drifting away from his destiny. That is, until he meets Maggie O’Brian, a spit-fire rodeo rider with a strange ability to calm wild horses. Maggie lives on the road too, avoiding relationships. Her mother left her, the boy she loved left her, even her dog left her. The last thing she wants in a man is a tomcat with â€œlove â€˜em and leave â€˜emâ€ written all over him.